1. Select the UVA and UVB wavelengths of light with no sunscreen and click the play button. a. What happens to the skin when the UV light reaches it? In the animation, UVB light causes a burn on the skin's surface and UVA light causes the breakdown in skin fibers deeper in the skin that leads to premature aging. c. Based on what you know about the different energies of UVA and UVB light, why do you think this might happen? The UVB light causes more immediate damage to the first cells it encounters because it is high energy. The UVA light is lower in energy and can penetrate deeper into the skin before it does damage. Both UVB and UVA light also can lead to DNA mutations that cause cancer, which is not shown in the animation. 2. Now leave UVA and UVB light selected and try playing the animation first with the 30 nm ZnO sunscreen and then with the 200 nm ZnO sunscreen. a. What kind of sunscreen ingredient is shown in each animation? The 30 nm ZnO is a nanosized inorganic ingredient. The 200 nm ZnO sunscreen is a traditional inorganic ingredient. b. What happens to the UV light in the animation of 30 nm ZnO particle sunscreen? The UV light is completely blocked via absorption. c. What happens to the UV light in the animation of 200 nm ZnO particle sunscreen? d. Is there any difference in how the UV light interacts with the 30 nm ZnO particles versus the 200 nm ZnO particles? Explain why this is so, based on your understanding of how the sunscreens work to block UV light. There is no difference in how the 30 nm and 200 nm ZnO particles interact with the UV light. This is because absorption depends on the energy levels in the substance, which are primarily determined by the substance's chemical identity, not the size of the particle. e. Is there any difference in how the two kinds of UV light interact with the sunscreens? Explain why this is so, based on your understanding of how the sunscreens work to block UV light. 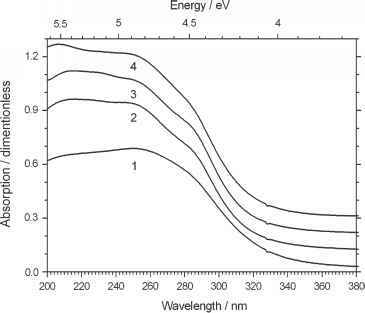 Both UVA and UVB light are fully absorbed because ZnO absorbs strongly for all wavelengths less than ~380 nm. Students may point out that wavelengths of 380-400 nm are UVA light that might not be absorbed. This is true and can be discussed with the final question, which addresses the limitations of using models. 3. Select the visible light option and play the animation for each of the sunscreen conditions. What happens to the visible light in each animation, and what does the observer see? The photons of light pass through the air to the skin. At the skin's surface, most of the blue-green (~400-550 nm) wavelengths of light are absorbed by pigments in the skin, while the red-orange-yellow (~550-700 nm) wavelengths of light are reflected and reach the observer's eye. The observer sees the surface of the skin. (Different skin colors are caused by different amounts and types of the skin pigment melanin). The photons of light pass through the air and are refracted (bent) as they enter the sunscreen. They pass through ZnO particles without being scattered, and at the skin's surface, most of the blue-green (~400-550 nm) wavelengths of light are absorbed by pigments in the skin, while the red-orange-yellow (~550-700 nm) wavelengths of light are reflected. They then pass through the sunscreen again, and are refracted (bent) when they pass to the air, before they reach the observer's eye. The observer sees the surface of the skin and we say that the sunscreen is "clear." 4. When we make a model (such as one of these animations), we make tradeoffs between depicting the phenomenon as accurately as possible and simplifying it to show the key principles involved. What are some other ways these animations have simplified the model of the real-world situation they describe?